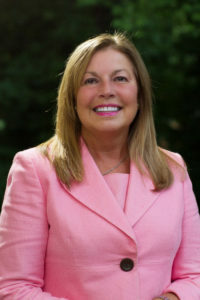 Before retiring in July 2015 after a 32-year career with Bank of America and predecessor banks in Florida and Georgia, Nancy Thigpen led teams in Public Relations, Consumer Banking, Sales Training, Marketing, Commercial Banking sales, Community Relations, Business Banking sales and wealth management. She holds Series 6, 63, 26, 7 and 24 securities licenses. An avid Gator fan now far from the Swamp, Nancy graduated from the University of Florida with a Bachelor of Science in Journalism, majoring in public relations with minors in English and psychology. Prior to joining then-Pan American Bank in her hometown, Orlando, Nancy worked as public relations director for the Orlando Science Center, freelance writer, public relations manager and account executive for one of the city’s largest advertising agencies, marketing manager for a small savings and loan association, and retail sales associate and sales trainer. She has held leadership positions in many civic organizations, including the Junior Leagues of Greater Orlando and Atlanta, the Central Florida YMCA, her churches, and the University of Florida Foundation Atlanta Regional Committee. Her volunteer experiences range from leading major initiatives to serving on Boards, chairing committees, training trainers, hands-on voluntarism and community activism. Nancy and her husband Mike Ludden have one son and two Himalayan cats, and enjoy snow skiing the Rockies, water sports at Lake Arrowhead, tennis, watching college football and reading.